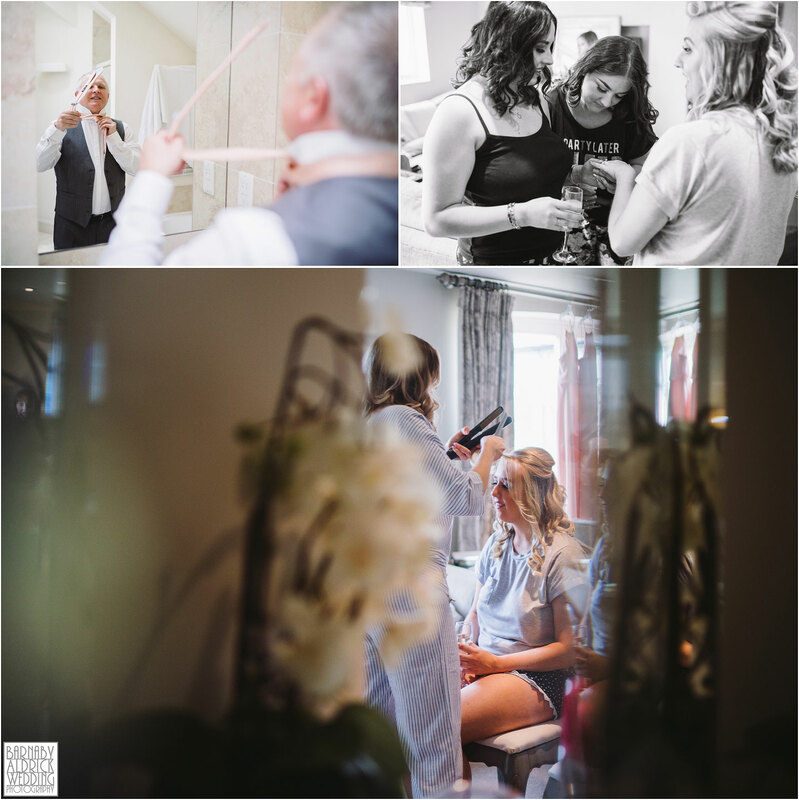 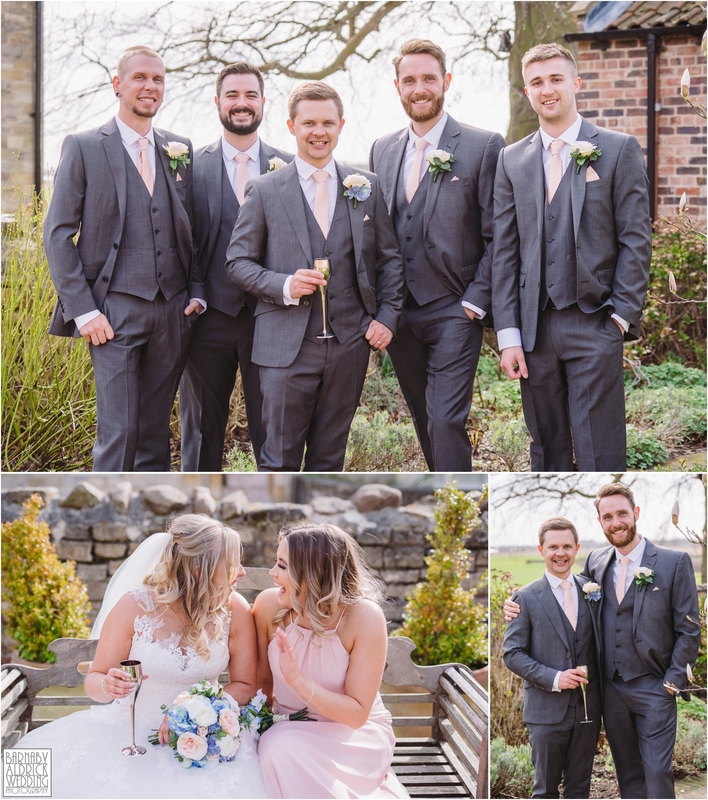 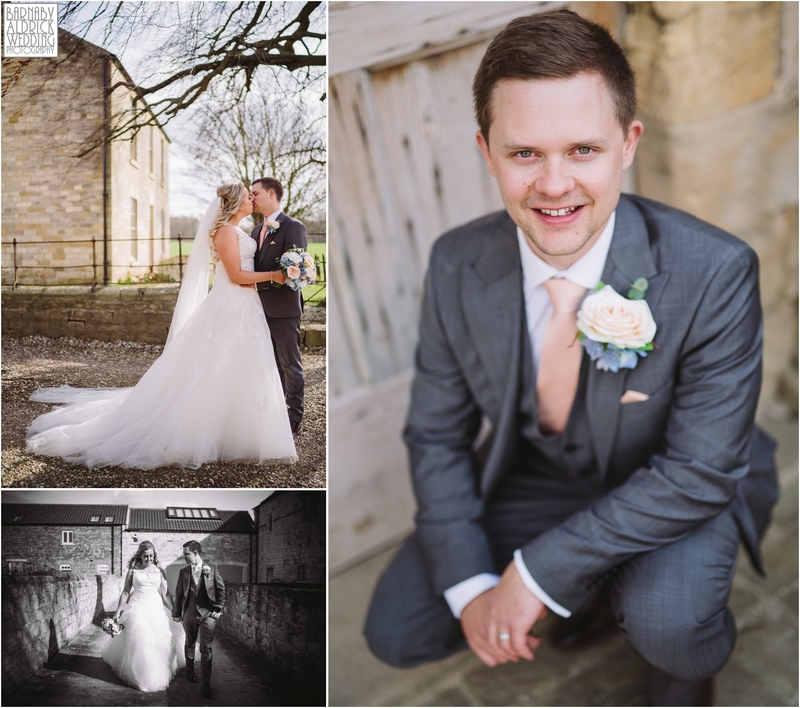 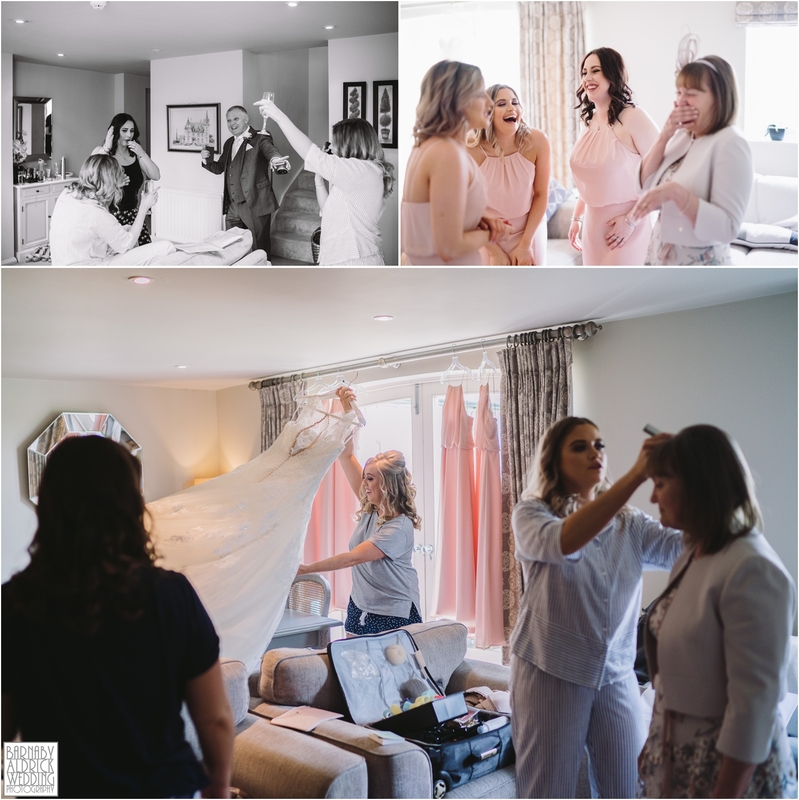 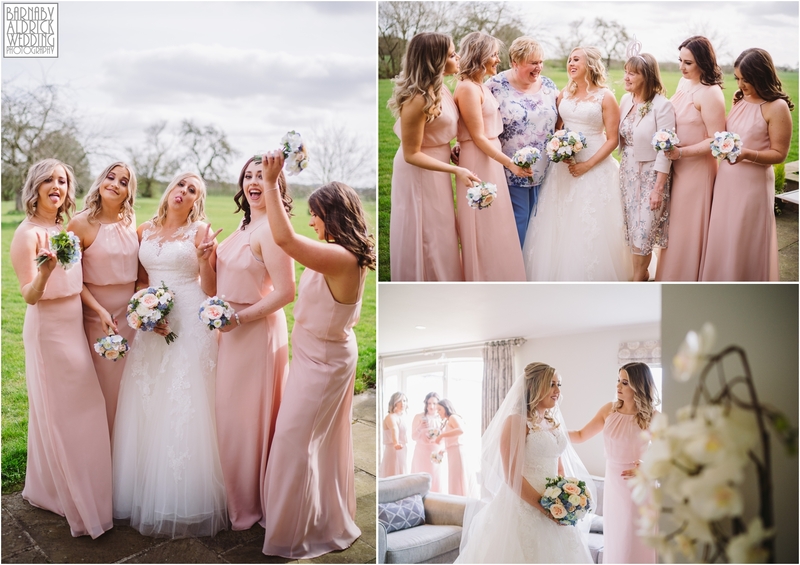 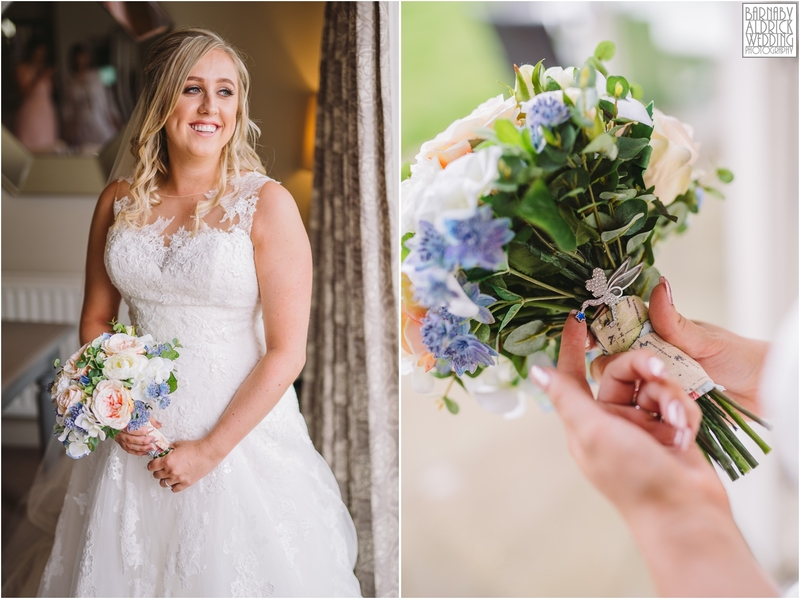 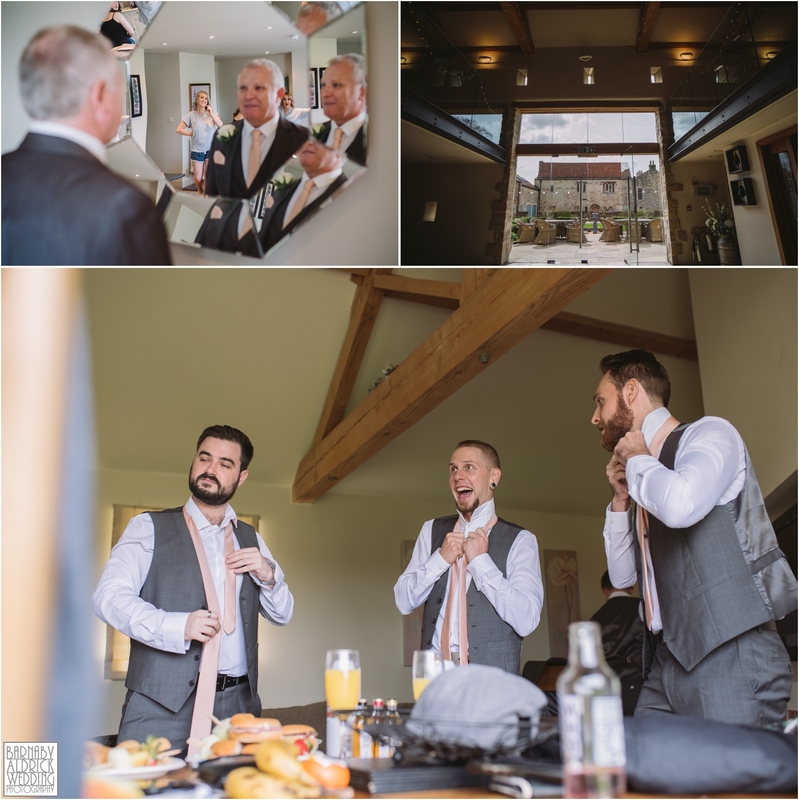 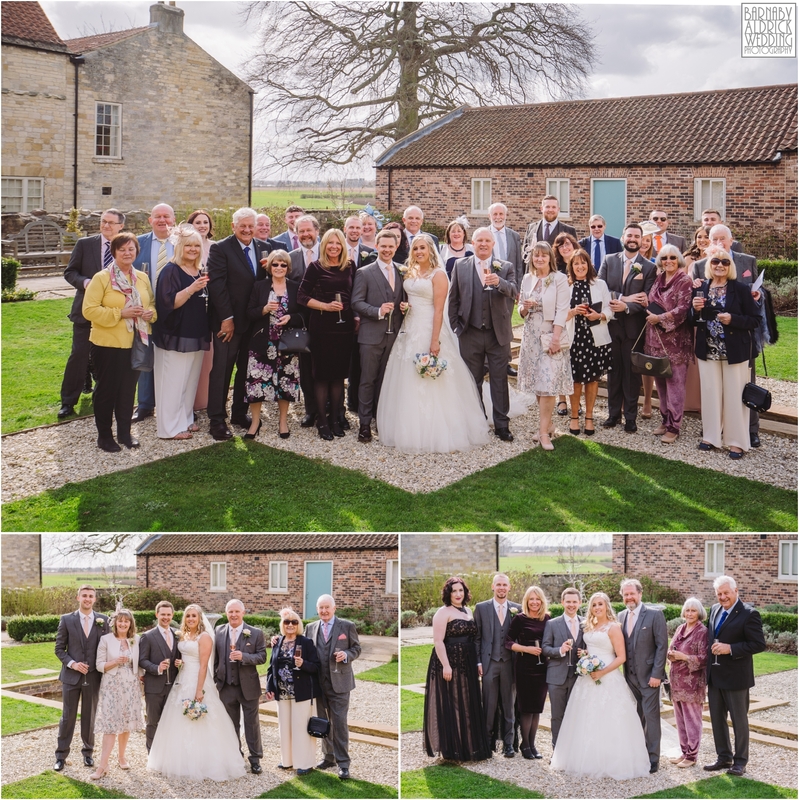 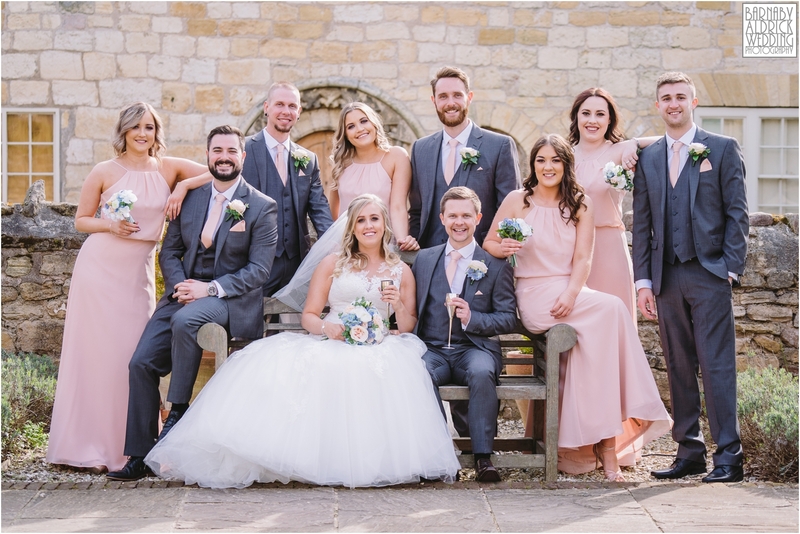 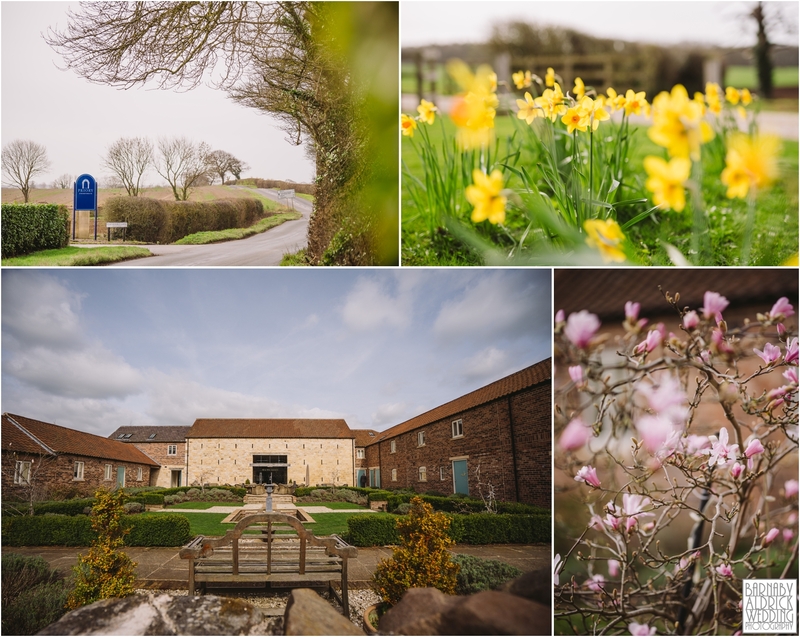 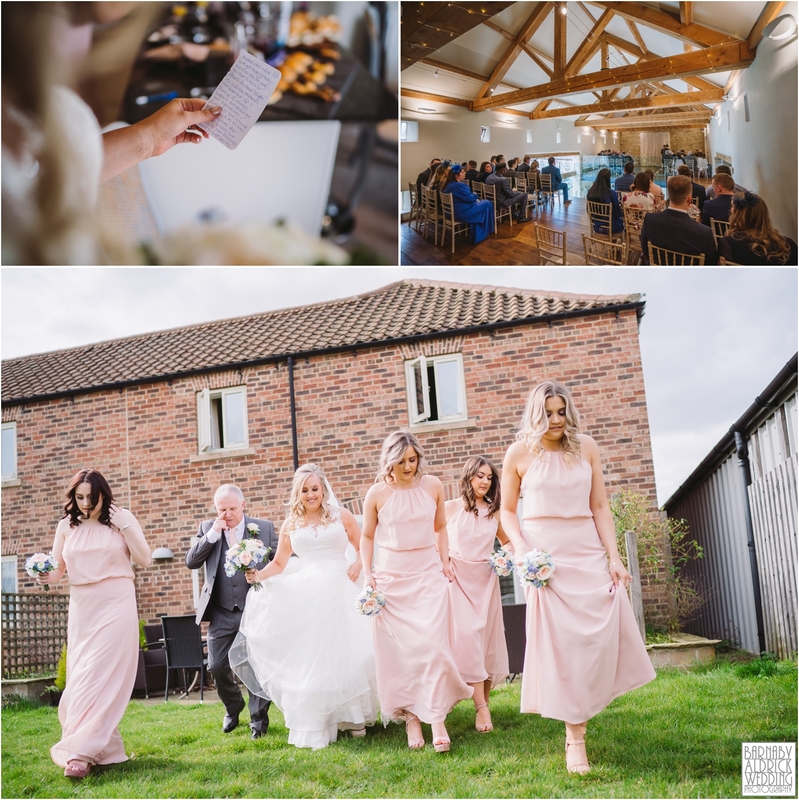 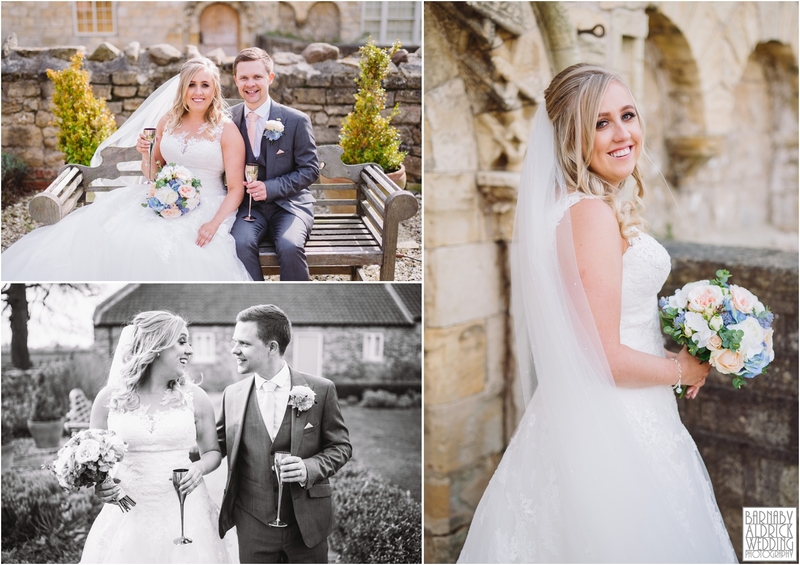 Last Saturday I joined Laura + Mitchell for their spring wedding photos at The Priory in Syninthwiate, a stunning barn and marquee wedding venue on a working farm near Wetherby in Yorkshire! 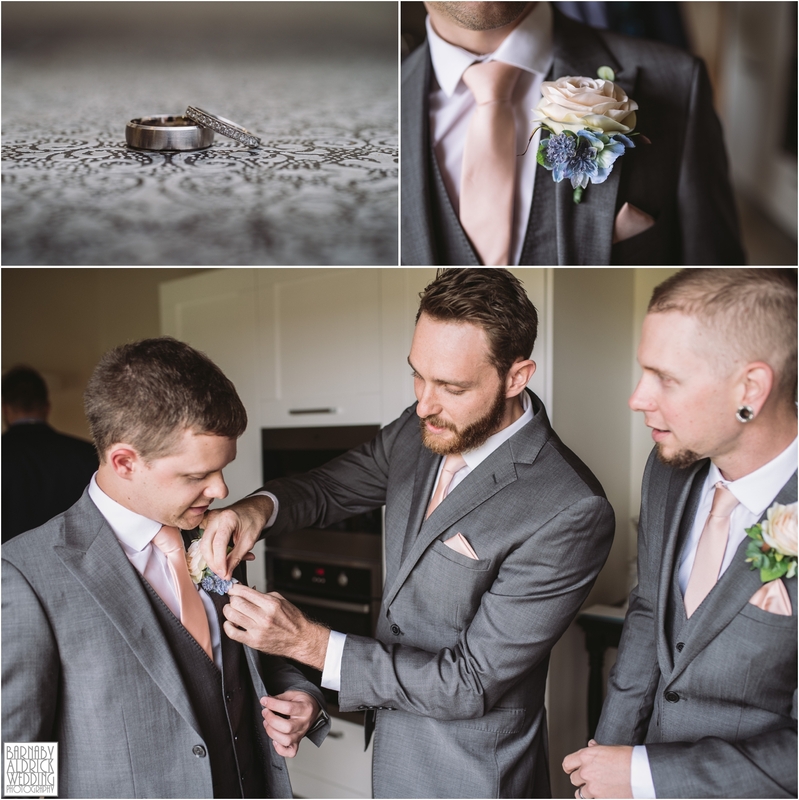 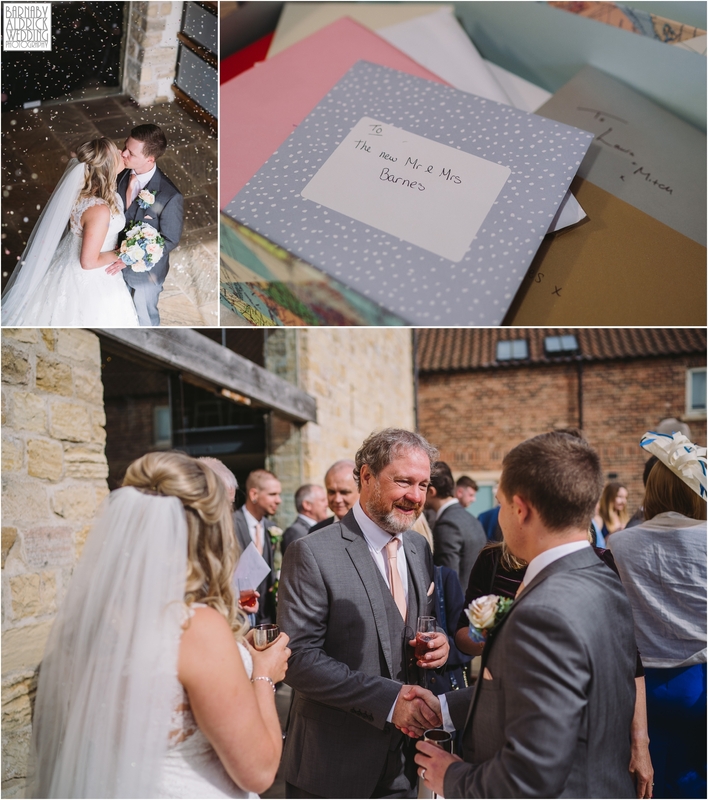 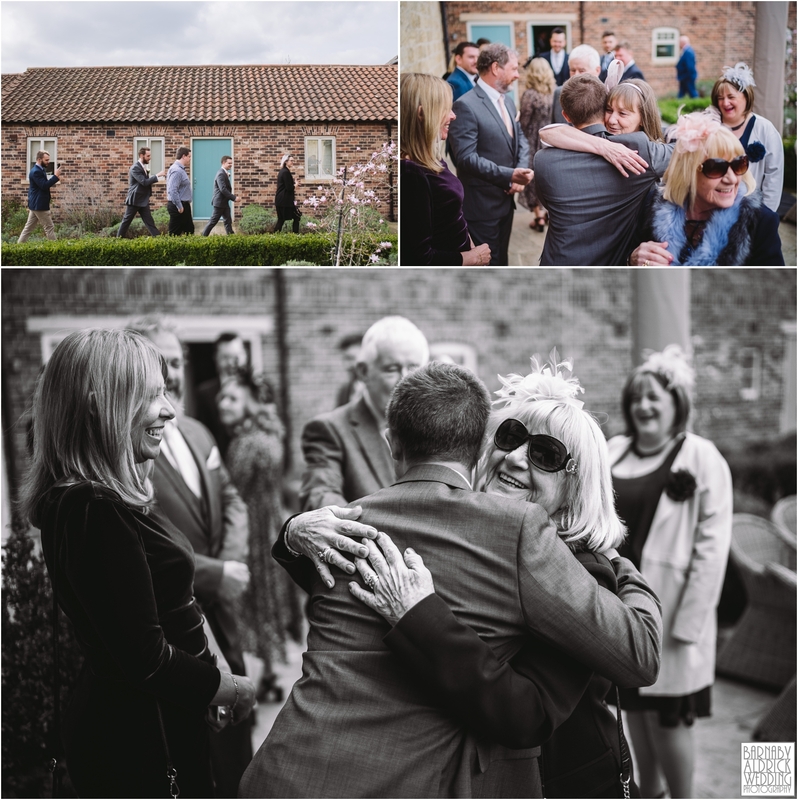 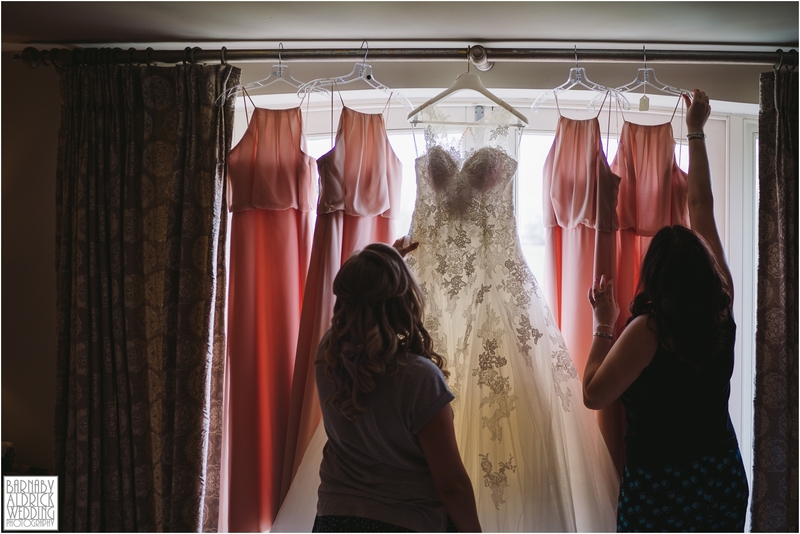 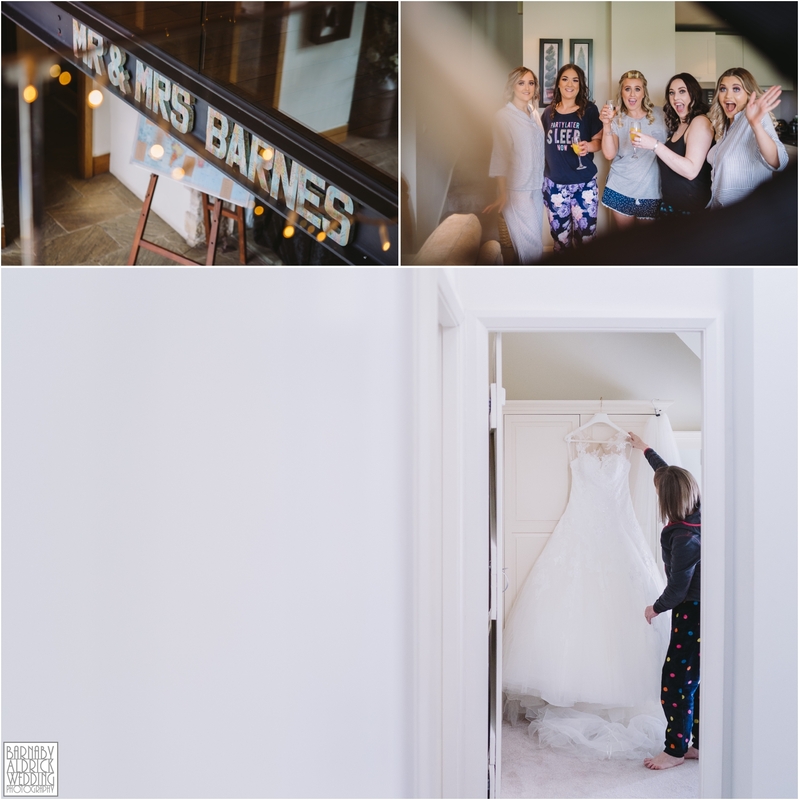 Now… This was the first wedding at Priory Cottages I’ve shot that very nearly didn’t happen! 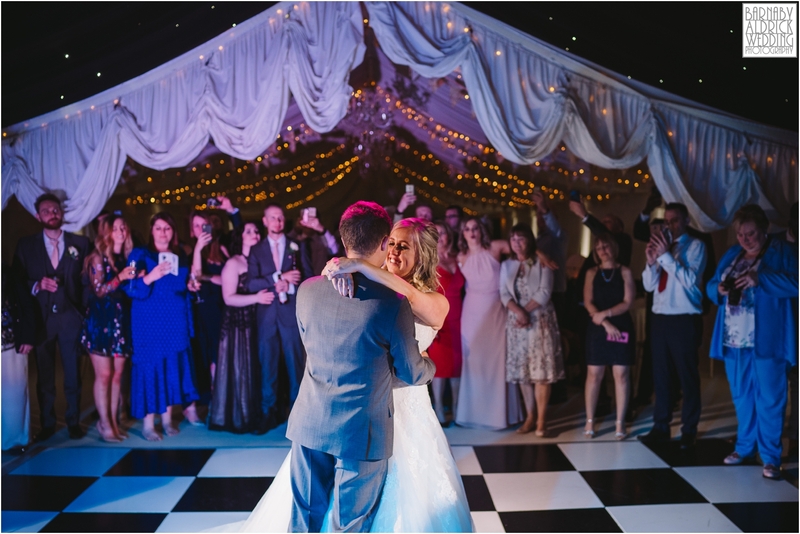 Laura + Mitch live down under in Australia and on arriving into the UK a week before their wedding, it turned out they’d been misadvised that Mitch would be ok getting married on a tourist visa. 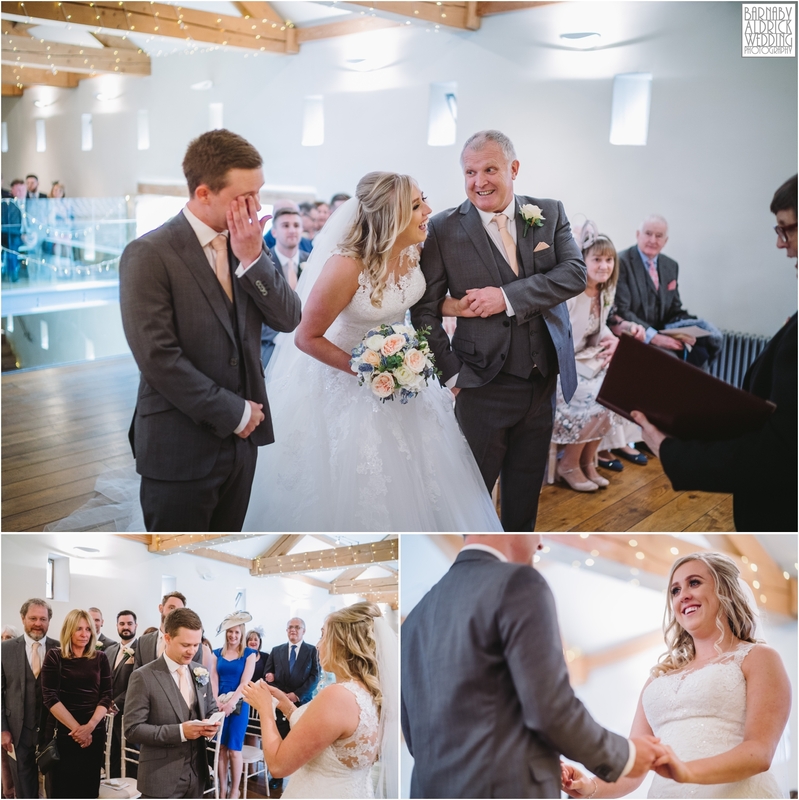 Immigration didn’t agree, and promptly sent him back home! 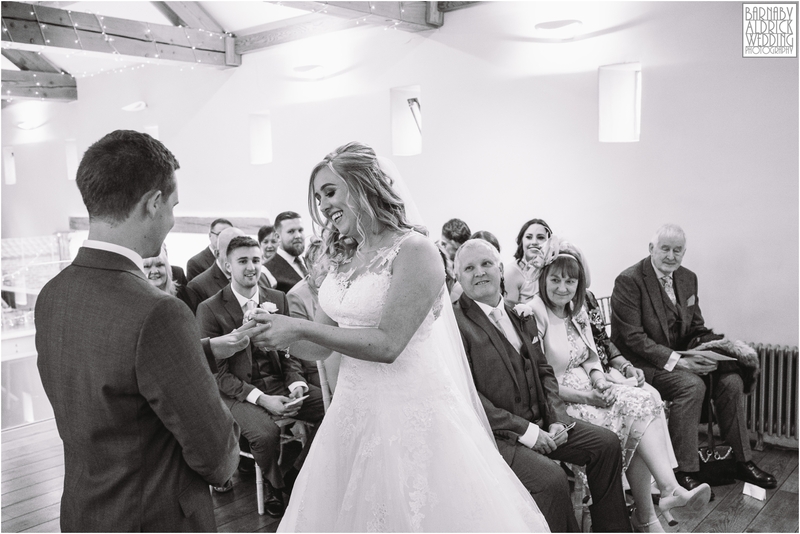 So the week leading up to the wedding, from literally opposite ends of the Earth, they frantically tried to pull favours with local dignitaries and the British embassy in the Philippines to fast-track the right visa so the wedding could go ahead! 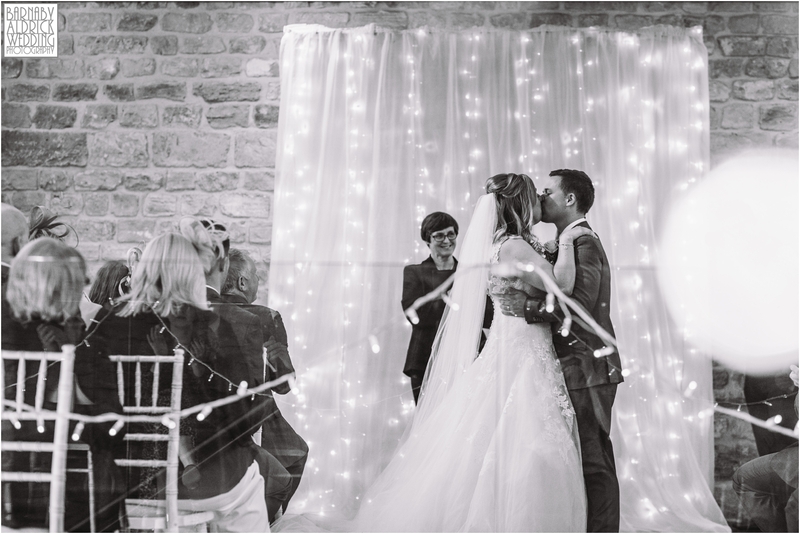 In the end, Mitch ended up on a flight that landed in Manchester at 6am ON THE WEDDING MORNING! 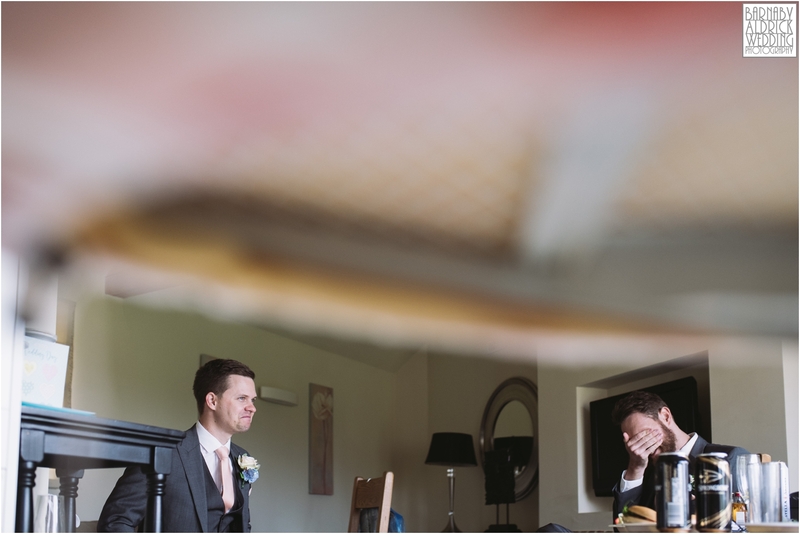 Talk about close shave!? 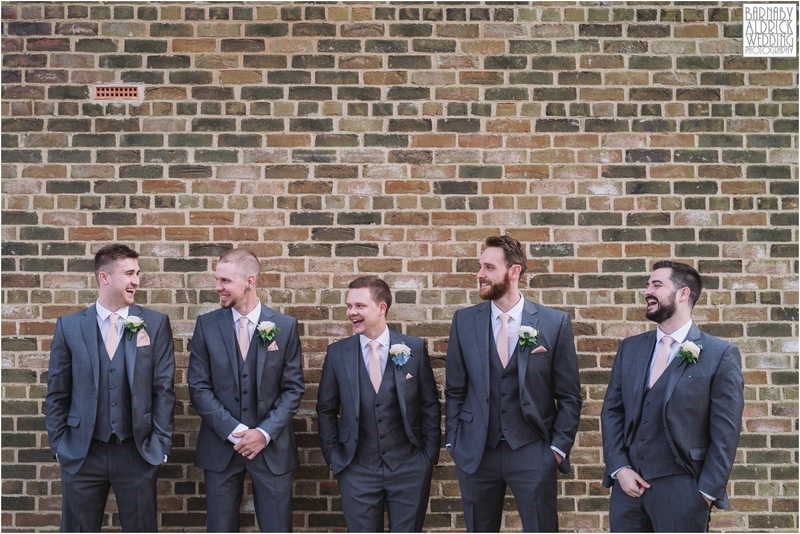 So apart from our groom fighting a serious case of jet lagged (Jägerbombs saved him from nodding out round 7pm! 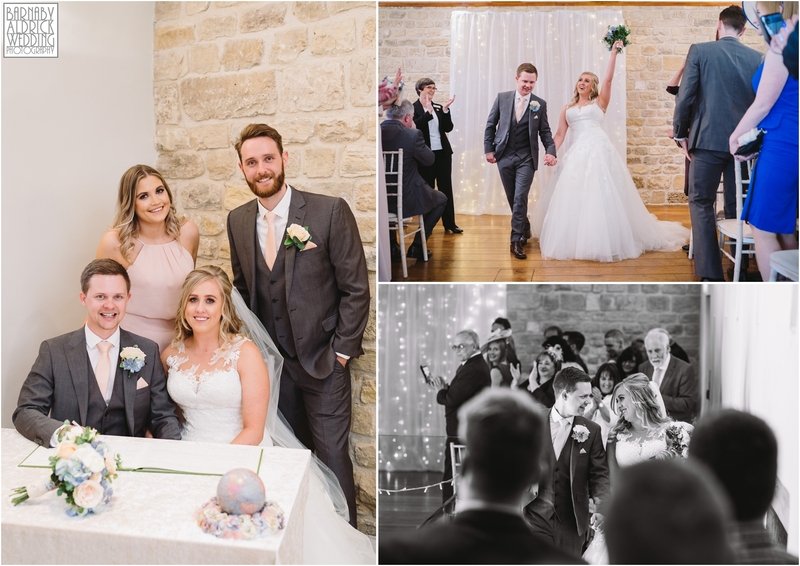 ), everyone certainly got behind celebrating this magic union! 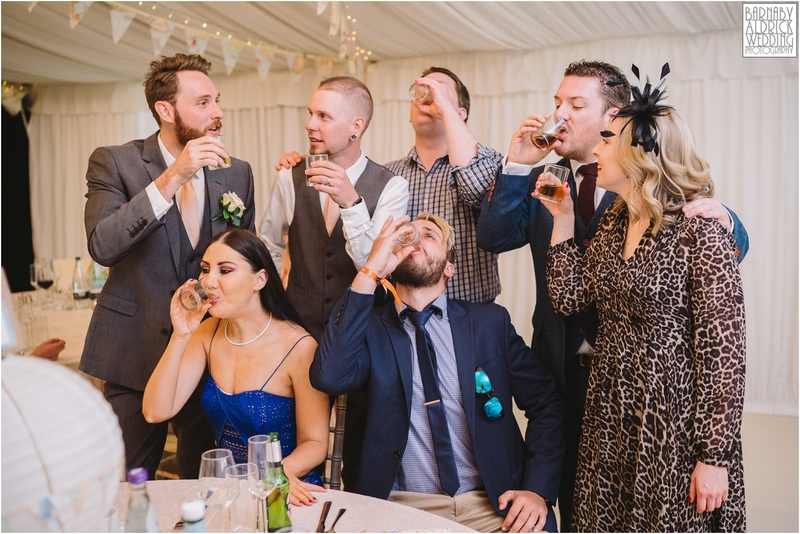 The Aussies certainly got behind the Jägers too! 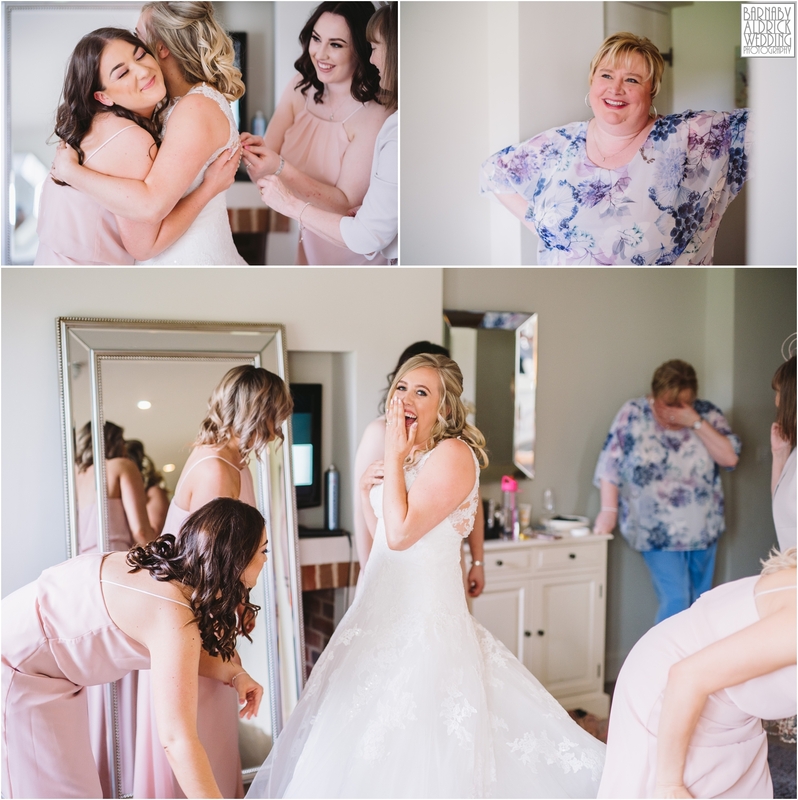 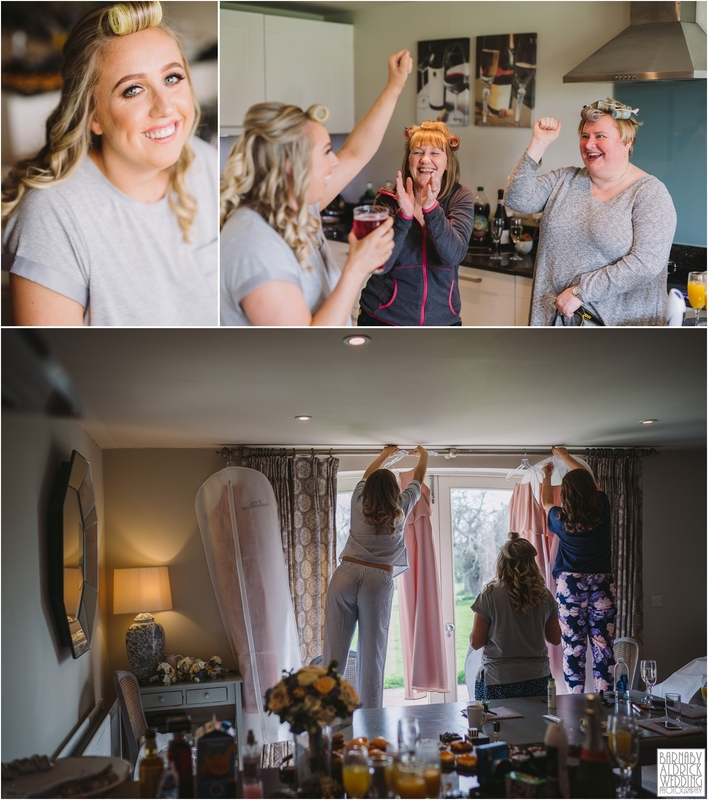 The relief was palpable all moring, during Team Bride and Team Groom’s fun preparations in their cottages. 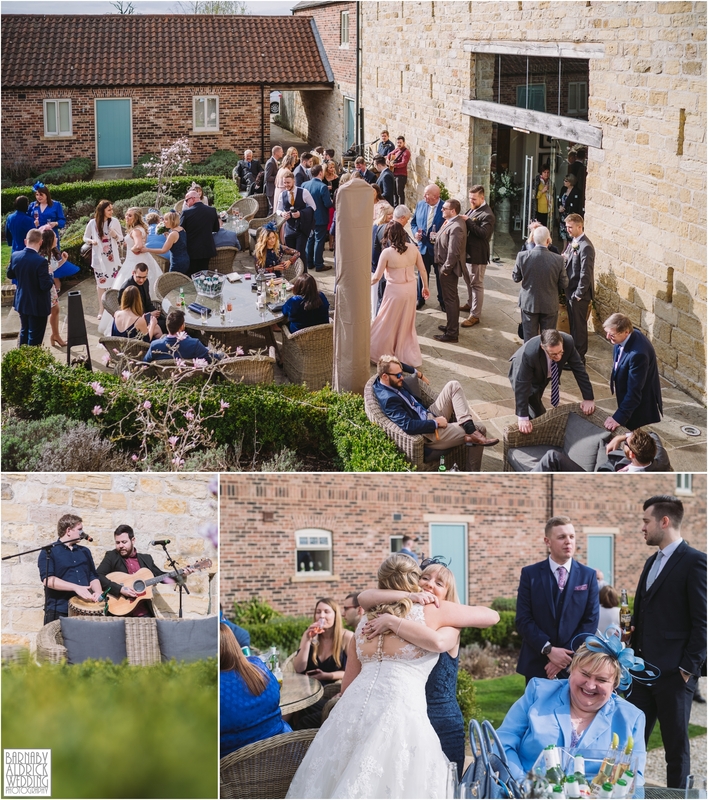 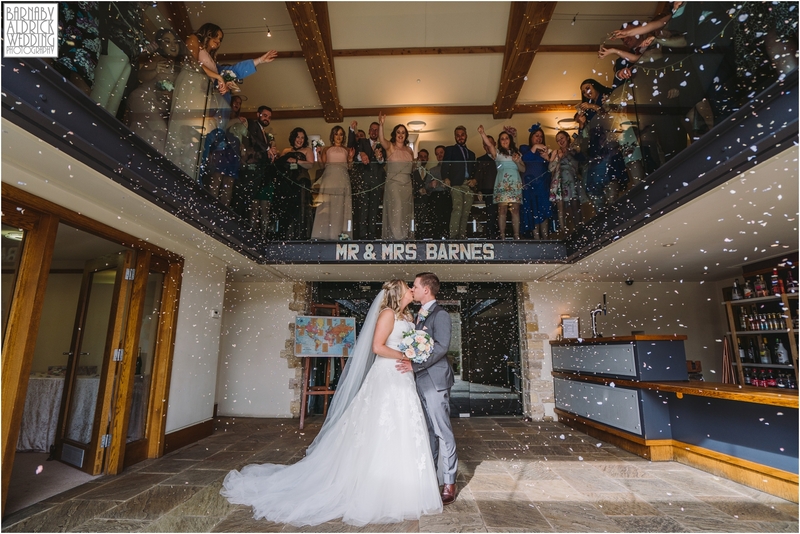 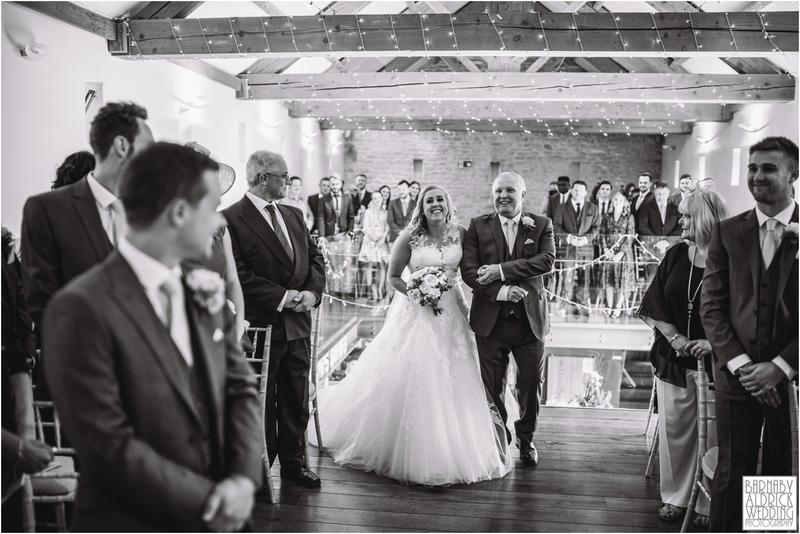 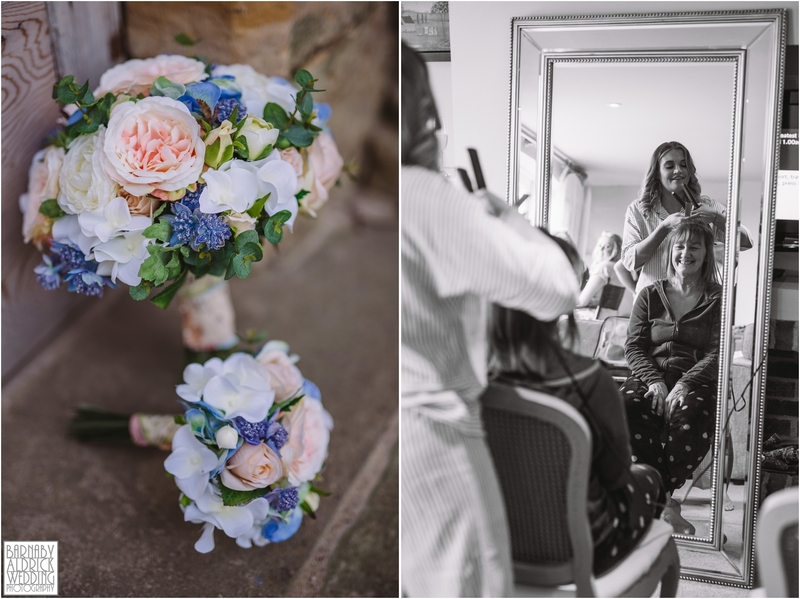 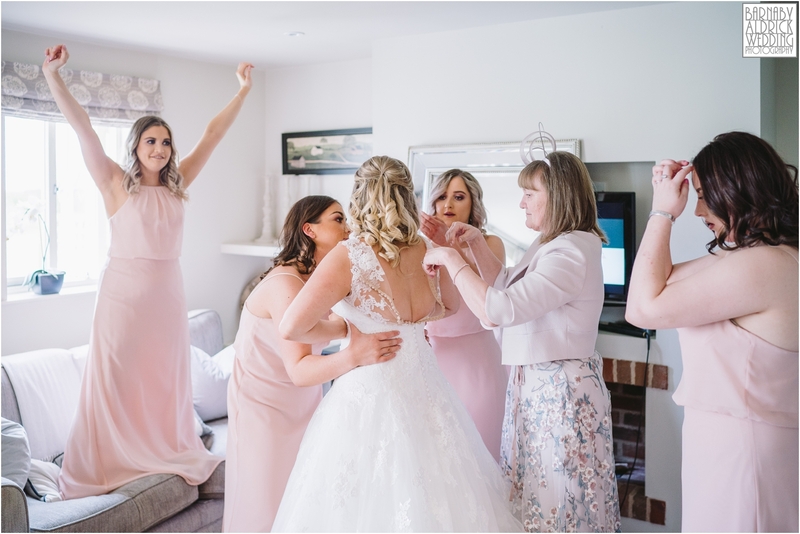 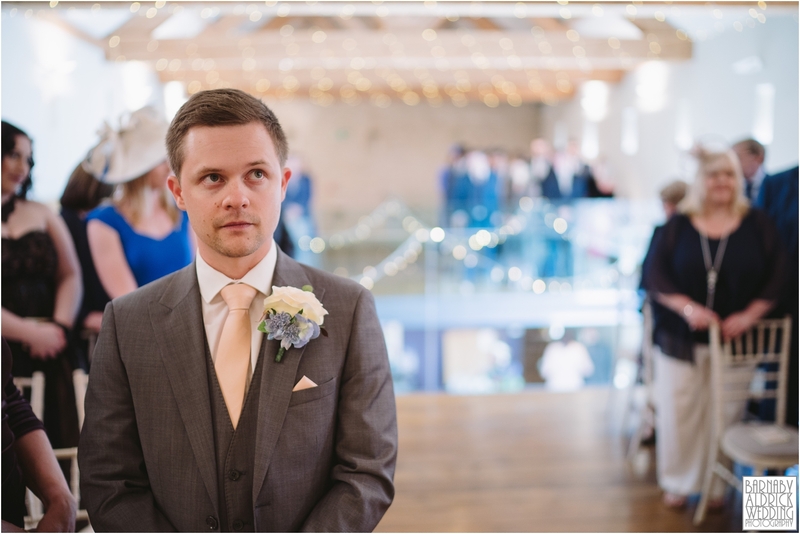 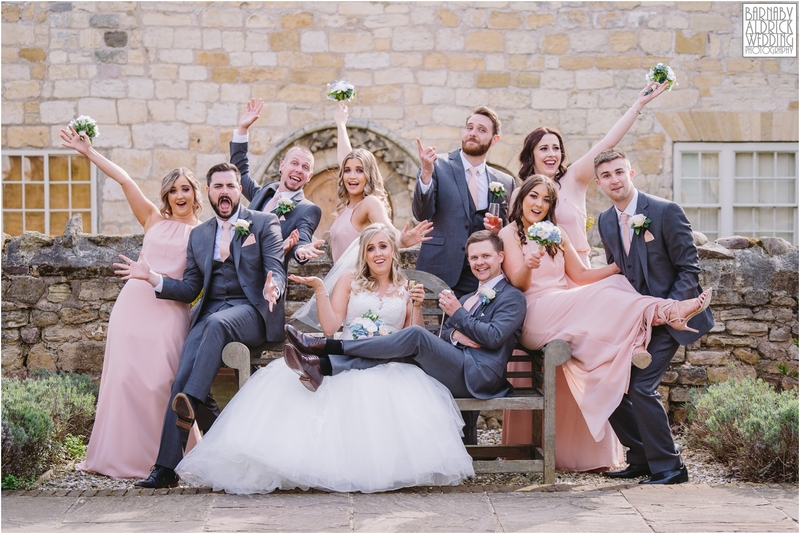 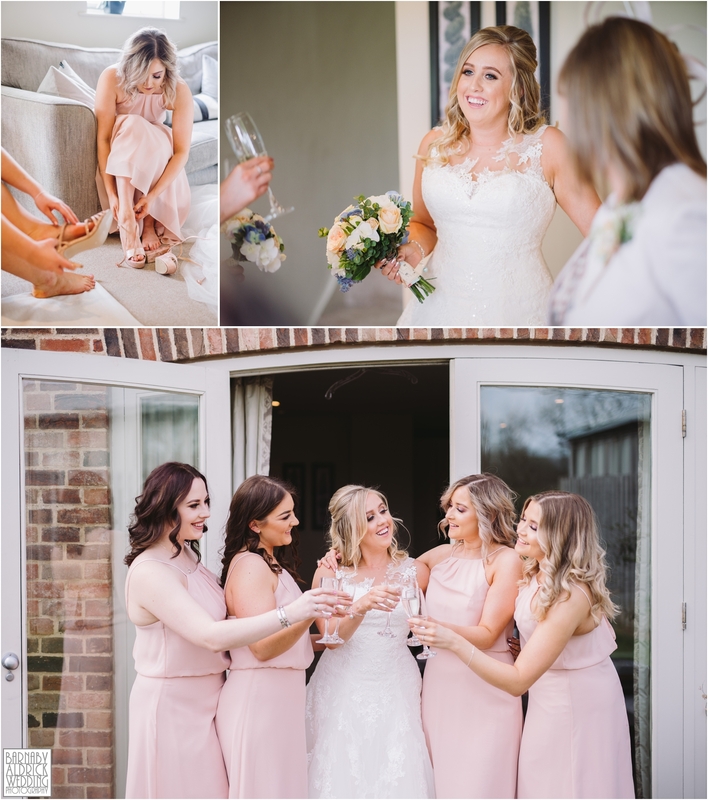 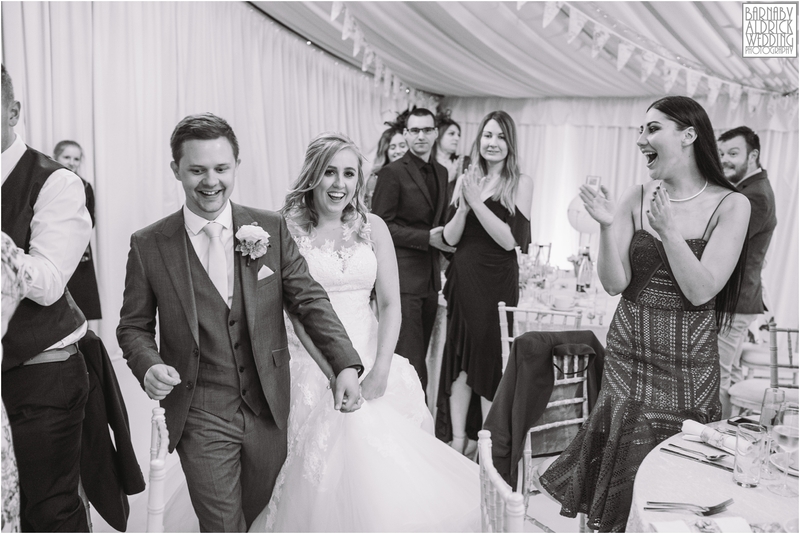 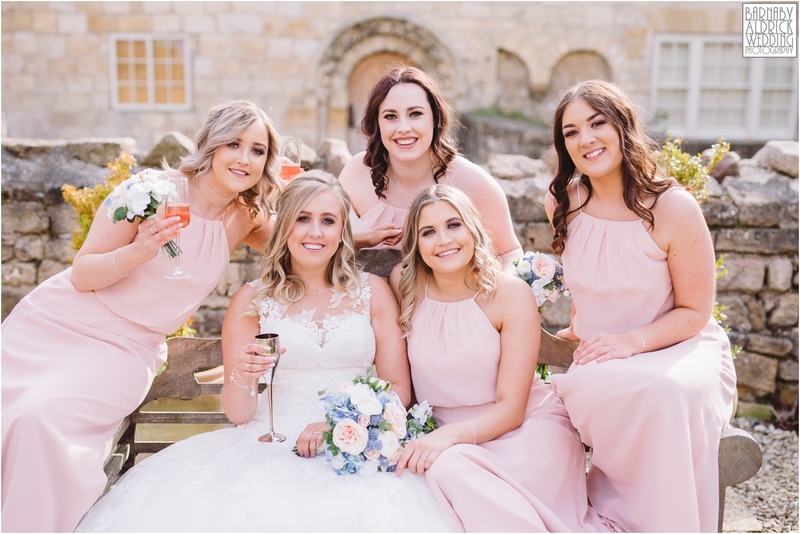 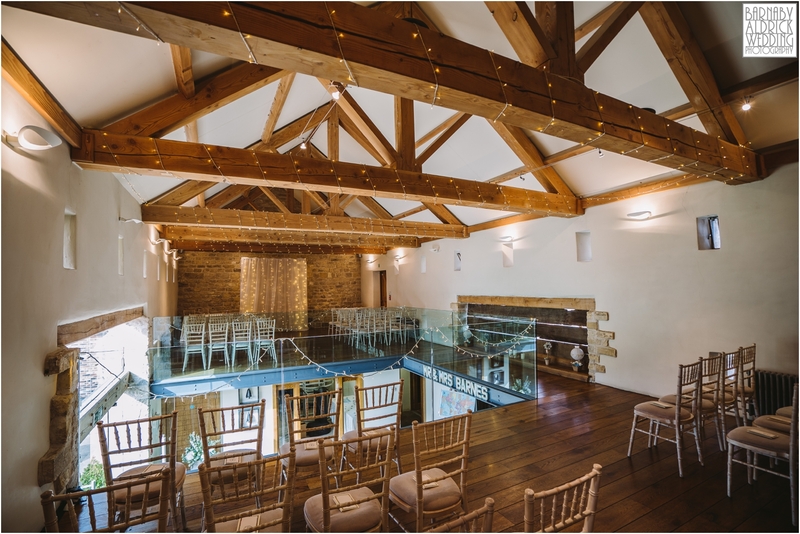 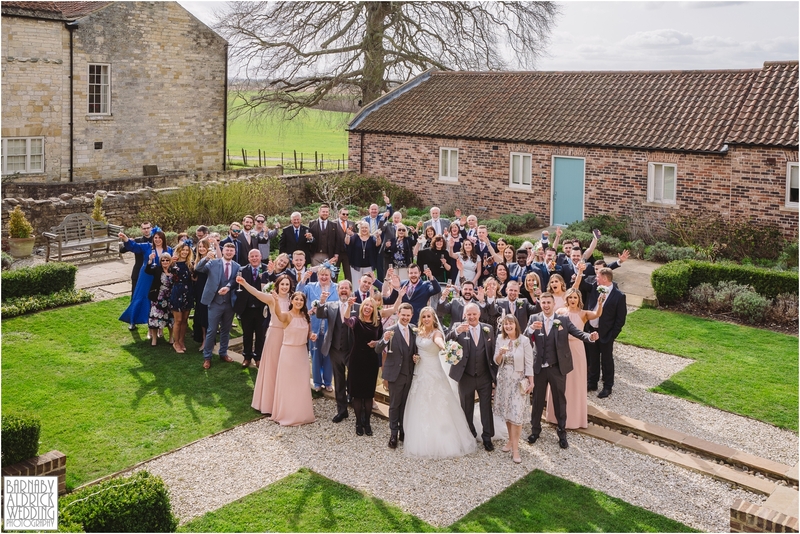 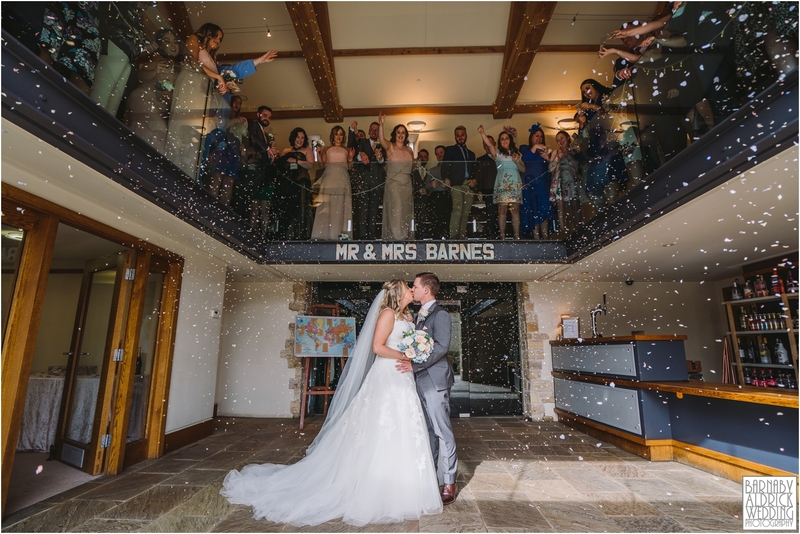 The ceremony was upstairs in the barn, followed by a shower of confetti before enjoying the sun on the Priory terrace to delicious reception drinks and nibbles by Taste Cuisine. 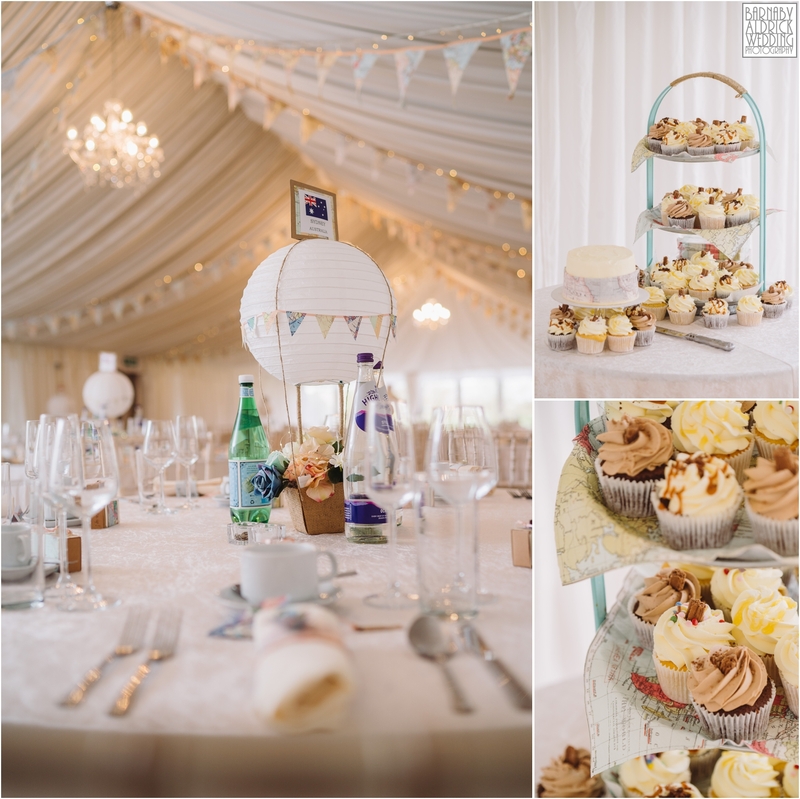 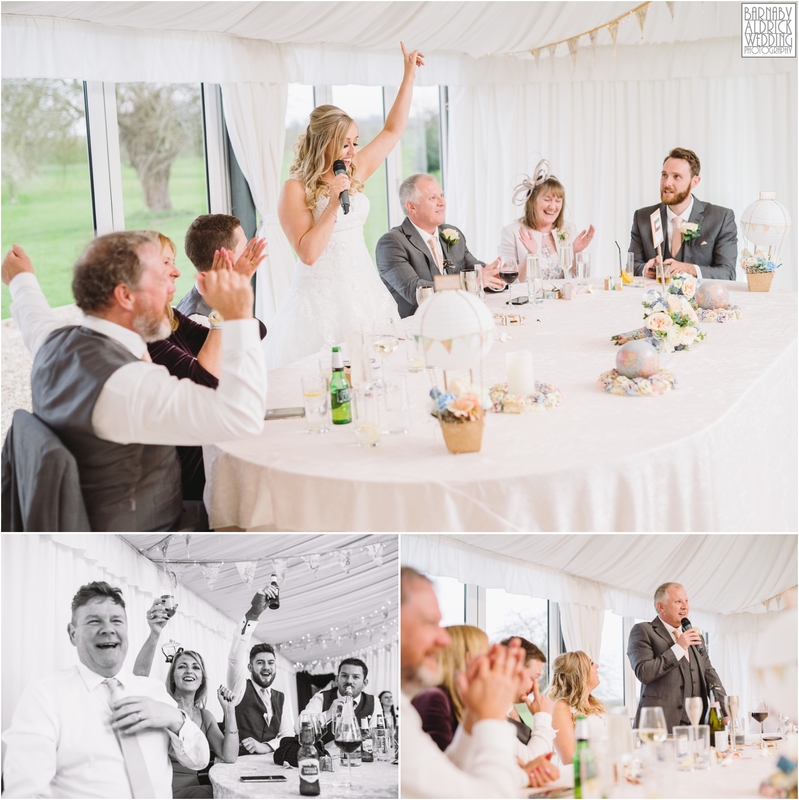 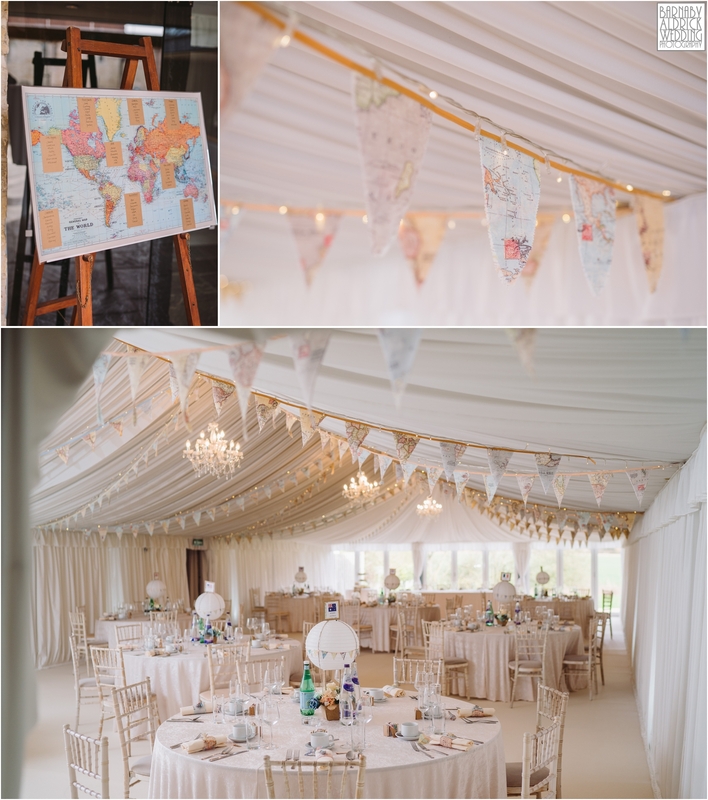 The wedding marquee was brilliantly finished with an appropriate travel theme of maps and balloons, and after a few more rounds of Jägerbombs it was time to enjoy their delicious grub and lovely speeches. 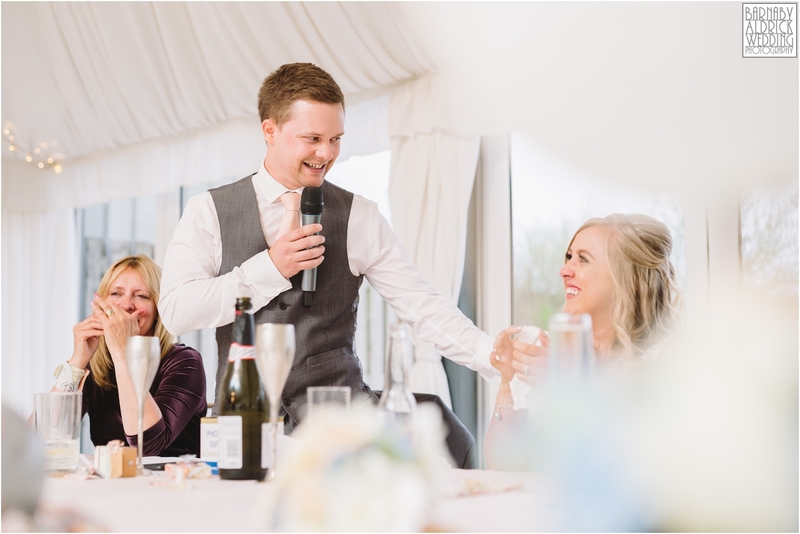 It’s always nice to have a bride speak at her wedding too! 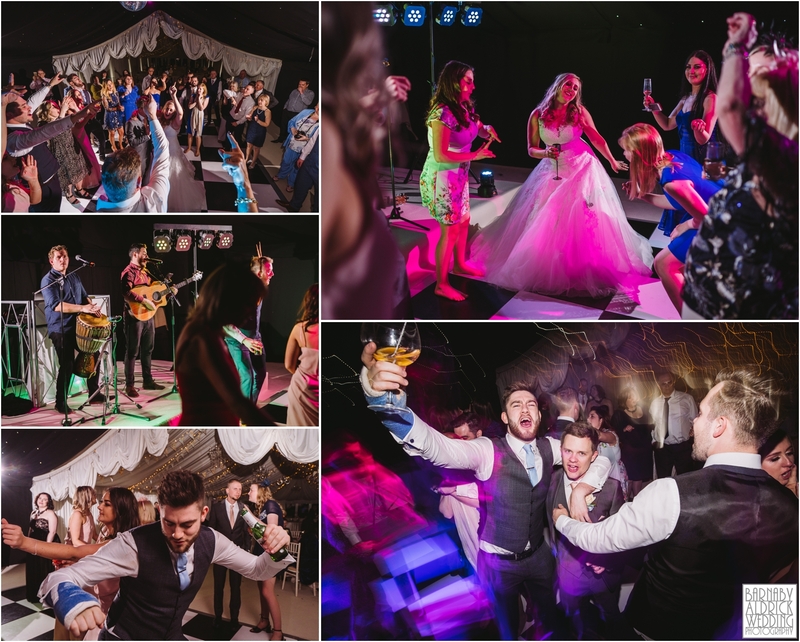 Then before long, the dancefloor was full and the party was bumping along! 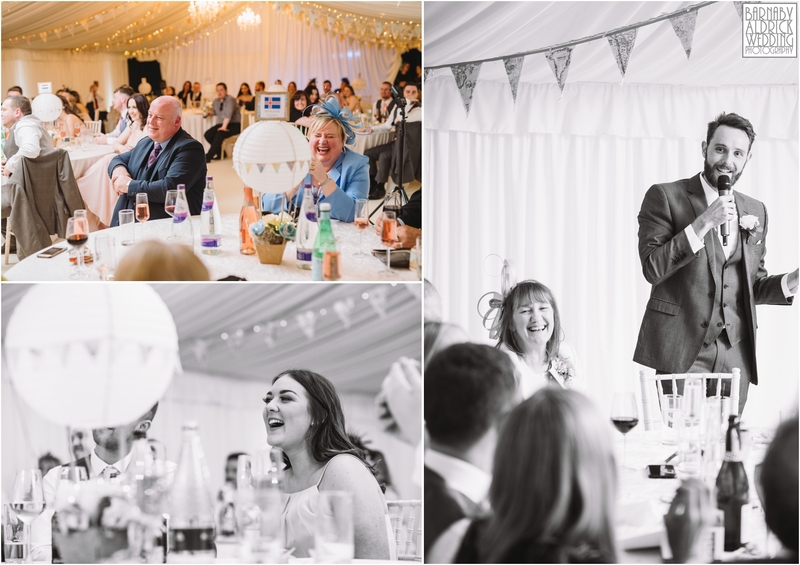 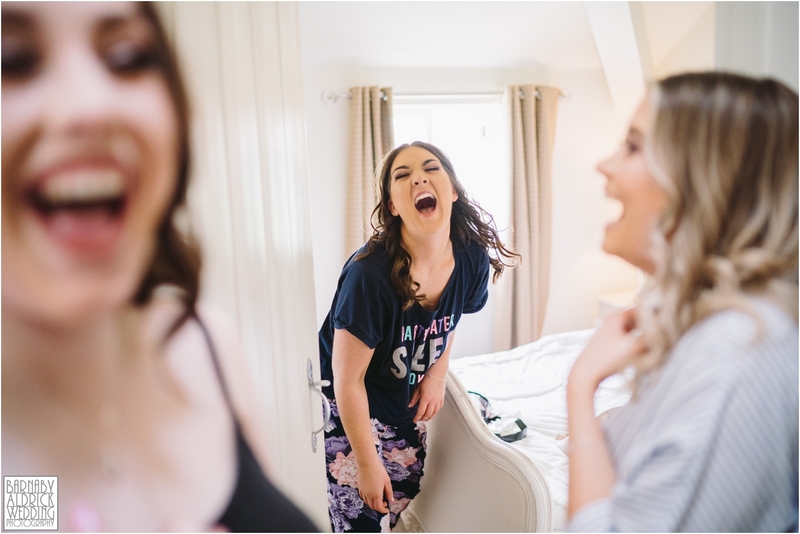 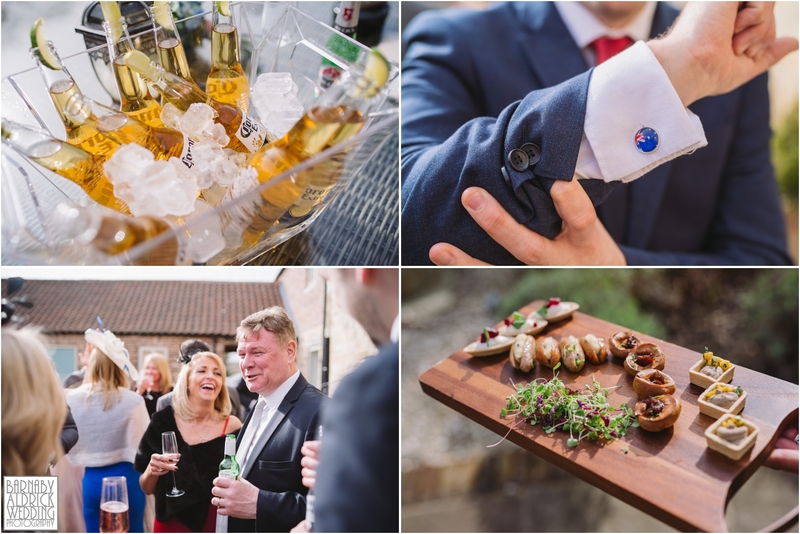 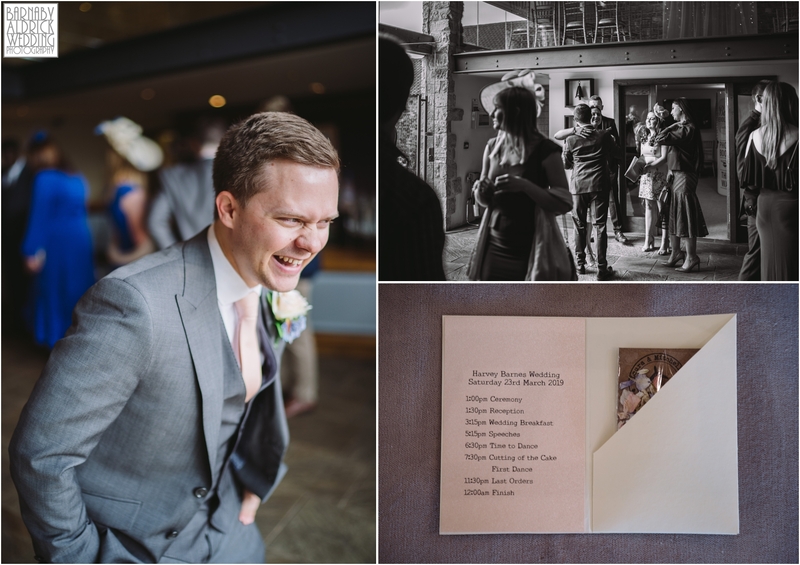 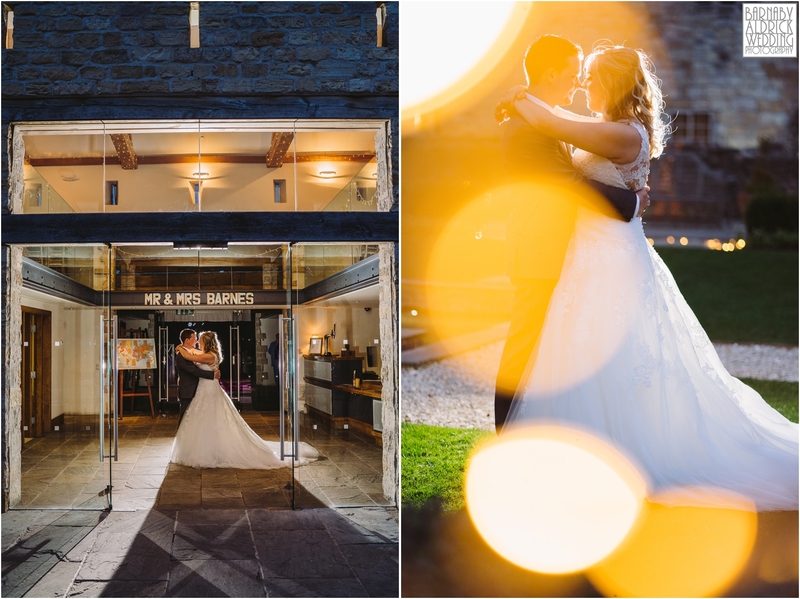 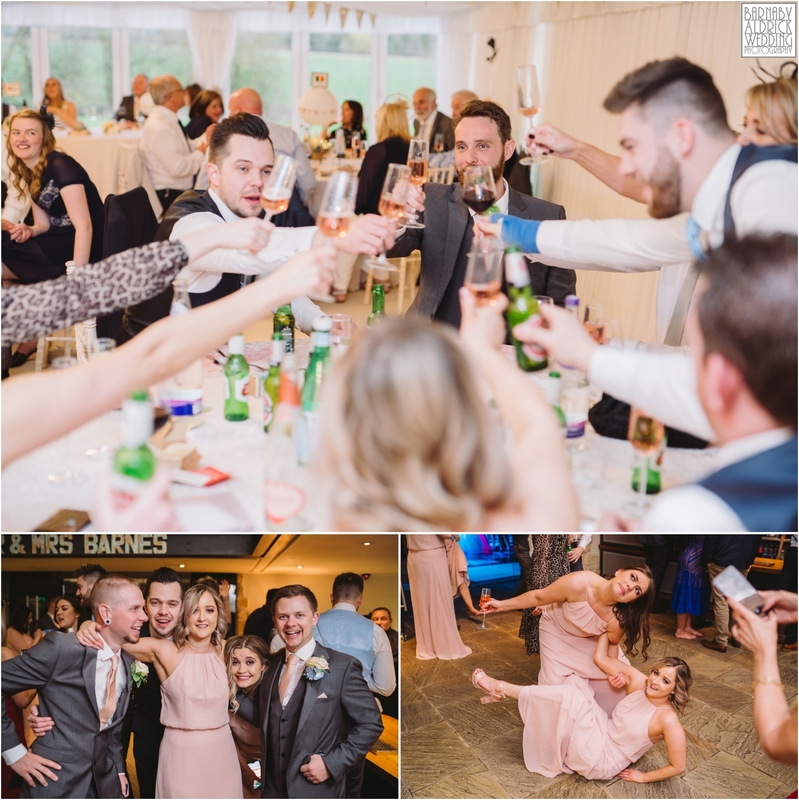 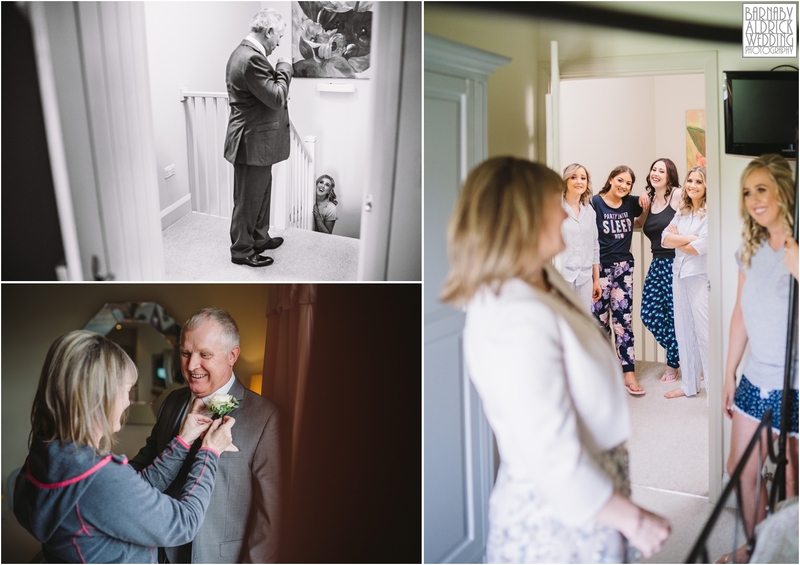 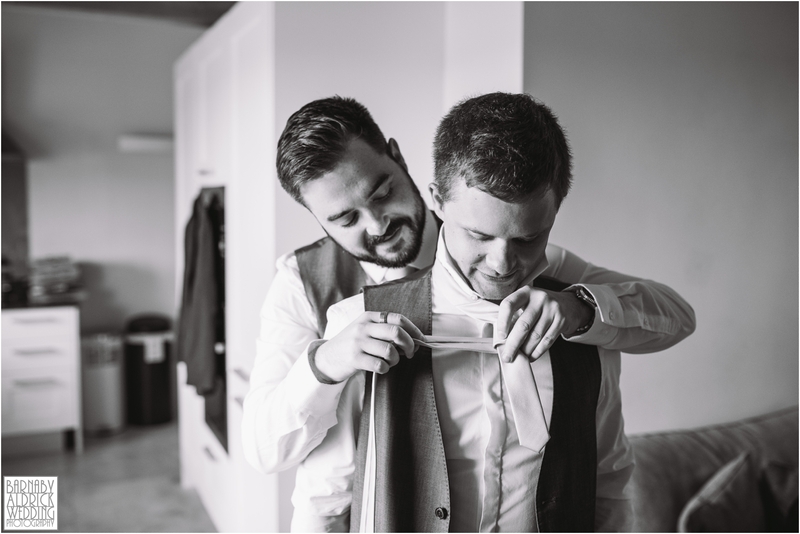 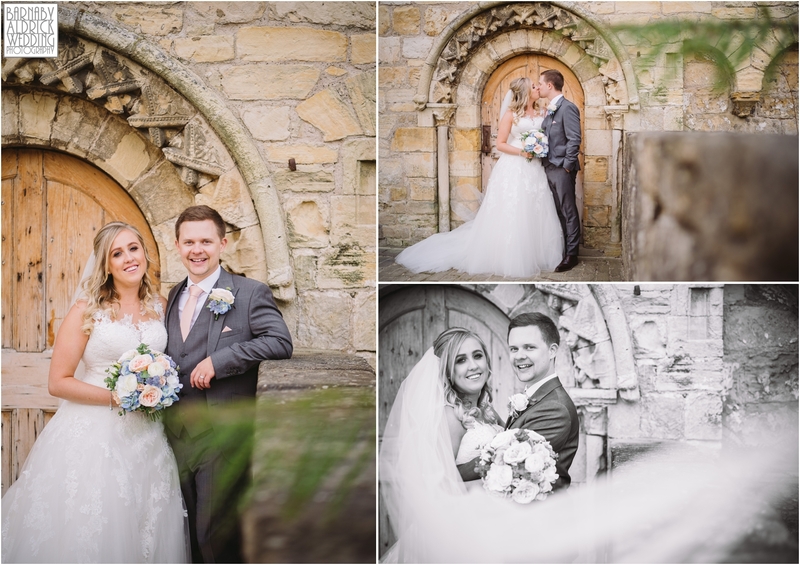 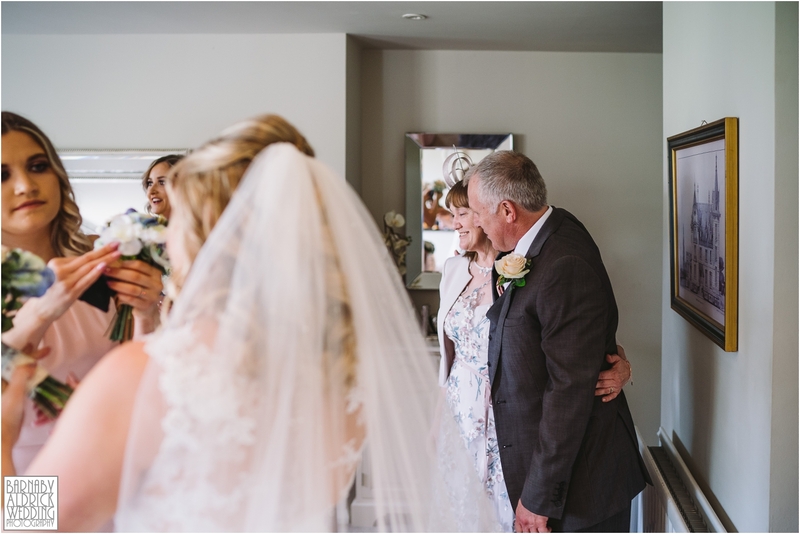 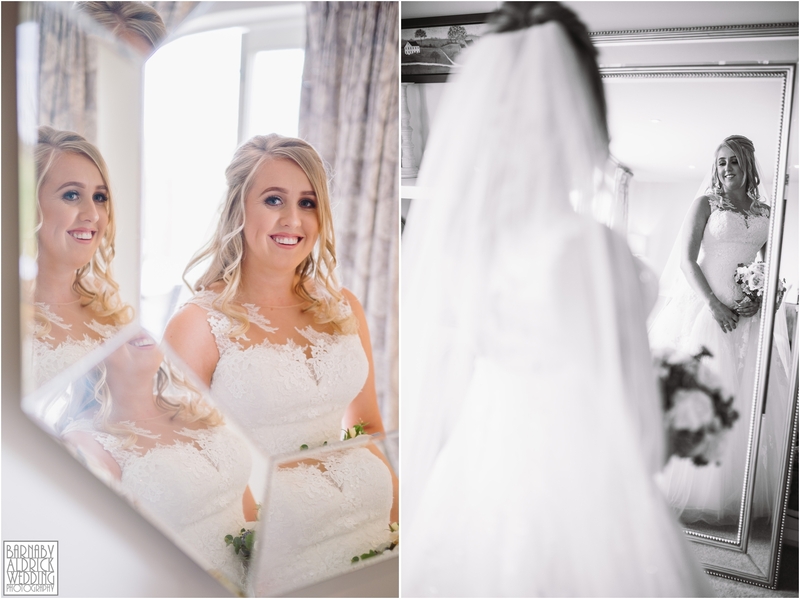 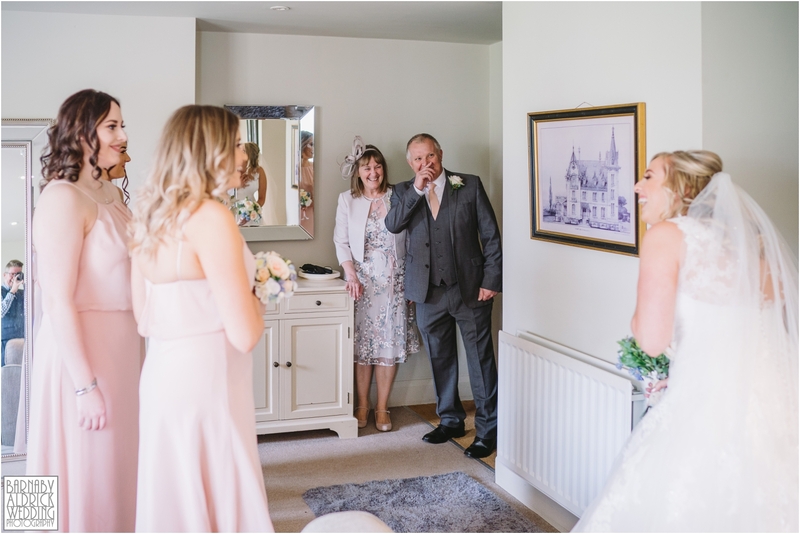 As usual, the shenanigans at were run wonderfully by the team at The Priory and Taste Caterers, and the day went off without a hitch… But the thing I liked most of all was how lovely and chilled this happy couple are together! 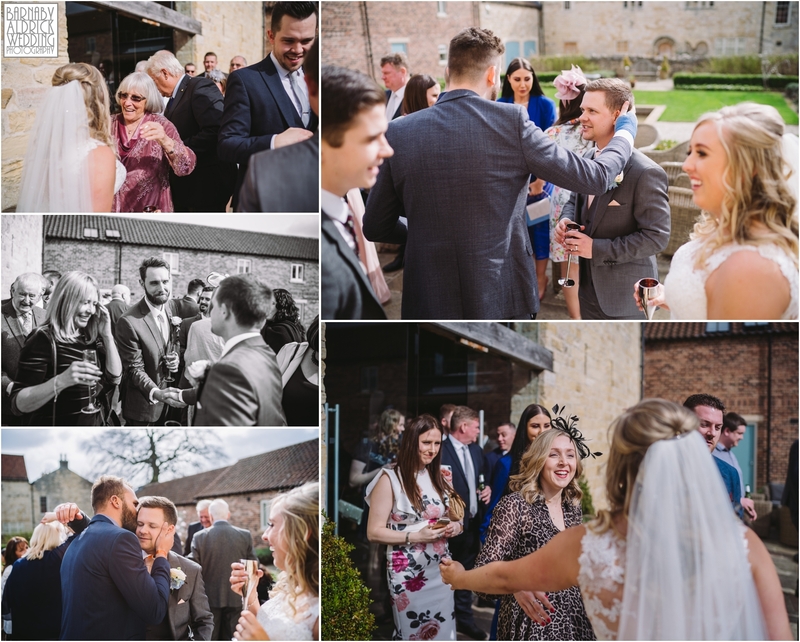 What a beautiful spring wedding at The Priory hey?! 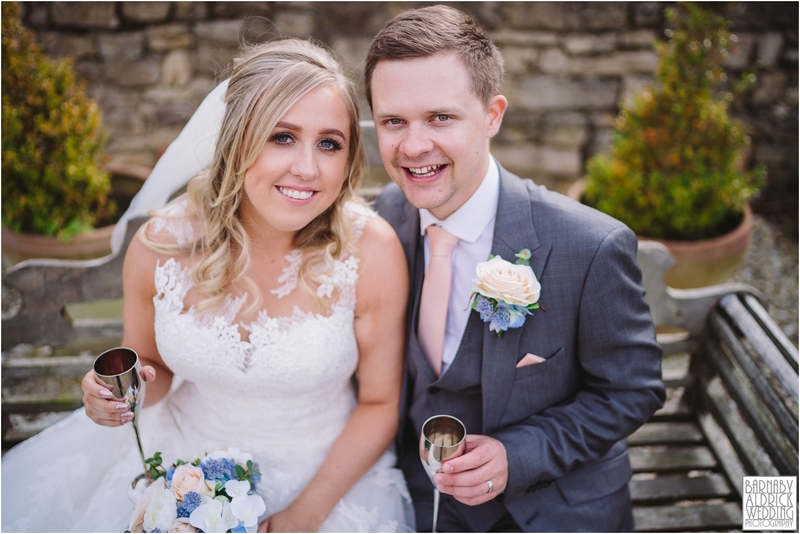 Here’s wishing Laura + Mitch a very happy married life together and a fab mini-moon in Budapest before heading back down under!